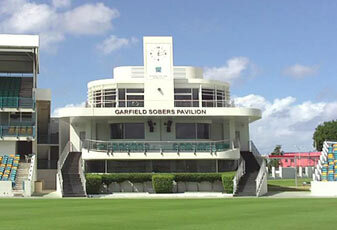 Gary Sobers Pavillion at the new Kensington Oval, Barbados. Kensington Oval, on the western outskirts of Bridgetown, Barbados began life in 1882 as the home of the snooty Pickwick Club. It has witnessed many historic matches including being the first West Indian ground to host an England touring team, in 1895. Kensington hosted the first combined West Indies side (against MCC in 1910-11) and was the scene of West Indies’ first Test in 1930, according to Cricinfo, and of the first Test century by a West Indian, Clifford Roach. 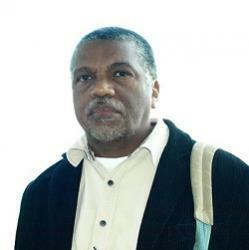 It is the test home ground of the icons Worrel, Walcott and Weekes (three Ws) and Gary Sobers; it is where Lawrence Rowe scored his majestic 302 against England in 1974, and were Michael Holding bowled his legendary over to dislodge Geoff Boycott in a memorable battle of will vs willow. “His over to Geoff Boycott in the cauldron of Kensington Oval early in 1981 has gone down in history as the finest, fastest, most ferocious gambit of all time,” according to Wisden. The ground was closed down at the end of the 2004-05 season and demolished in order that a new stadium could be built at a cost to the government of US$150 million in time for the World Cup, with the capacity being raised to 28,000. The venue was officially reopened on February 17th 2007, and hosted several important World Cup games and the finals of the tournament.